Zara is a young carer; her mother won’t leave the flat they live in and Zara’s stepfather is blind. Zara was selected by her school to join the Blue Skies Level 1 programme in February 2016. At the first session, Zara was reluctant to talk to anyone and found it difficult to make eye-contact; her body language isolated her from the rest of the group. As the students learnt to work as a team, Zara came out of her shell. A bright student, Zara began to communicate well with adults and integrate with her peers, her demeanour and attitude changed as she demonstrated an ability to lead teams towards solutions during the tasks. Zara revealed that she would like to be an engineer but couldn’t see how that was possible due to her significant responsibilities at home. Cobham, a civilian partner that works closely with JET, saw potential in Zara and were keen to invite her back for some work experience, assisting her desire to pursue an engineering career. Zara not only enjoyed the sessions but understood the skills she developed such as negotiation. At her Graduation, Zara’s stepfather commented how much she had enjoyed Blue Skies and he felt that there was a new confidence and maturity about her. 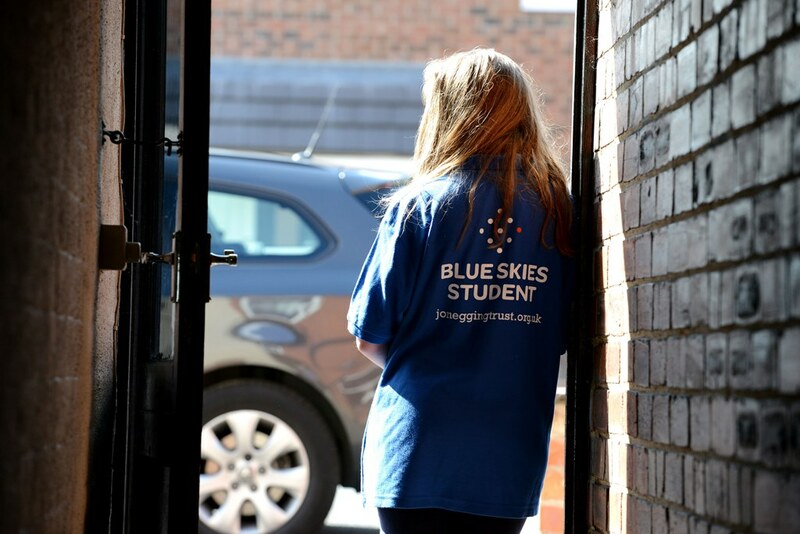 “I have been delighted by Zara’s progress and obvious benefits to being part of the Blue Skies programme. Zara has very clearly been given insight about future pathways and options available to her. She has been a valuable member of the team, something that was also recognised by her cohort.” Zara’s JET Youth Liaison Officer. “Zara has fully embraced all challenges as part of the Blue Skies Level 1 programme. She has been a real credit to herself and has noticeably gained confidence through leading others and being part of a team in a range of different activities.” Zara’s teacher.